It’s hard to believe that we’ve already reached the end of 2016. Isn’t that crazy?! In just a few short days, it will be 2017. 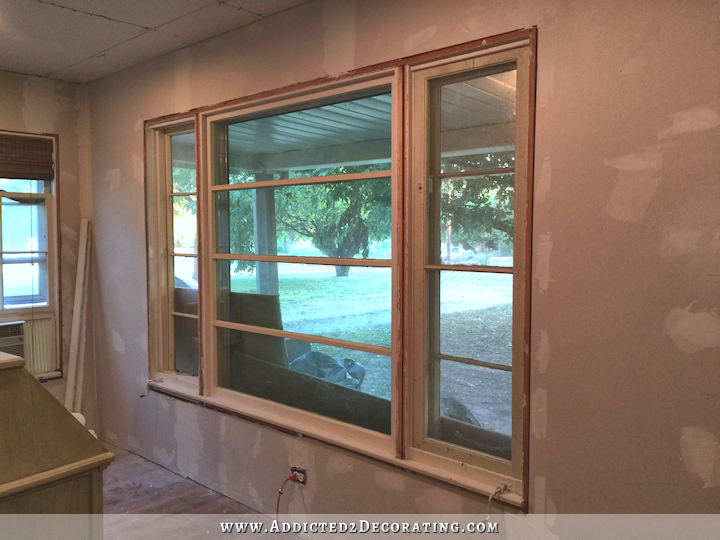 I also got my new windows in the living room trimmed out. Do you remember the original windows? In February, I made a semi-flush mount light from scratch for my music room inspired by a very expensive Coleen & Co. light that I really liked. 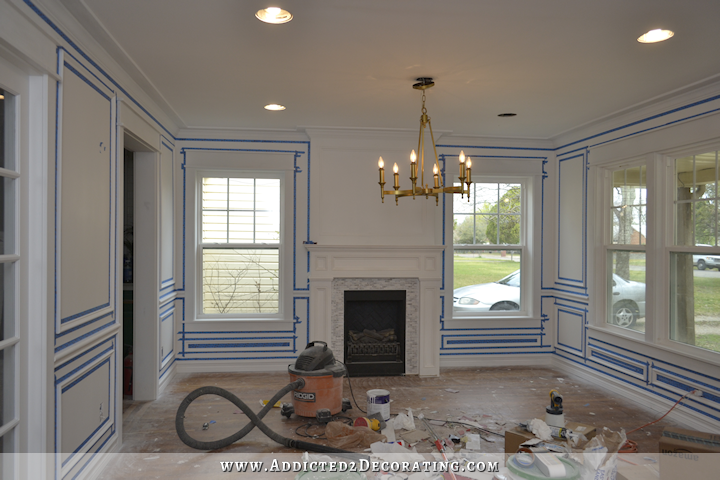 This was just the wrong room for all of that additional trim. 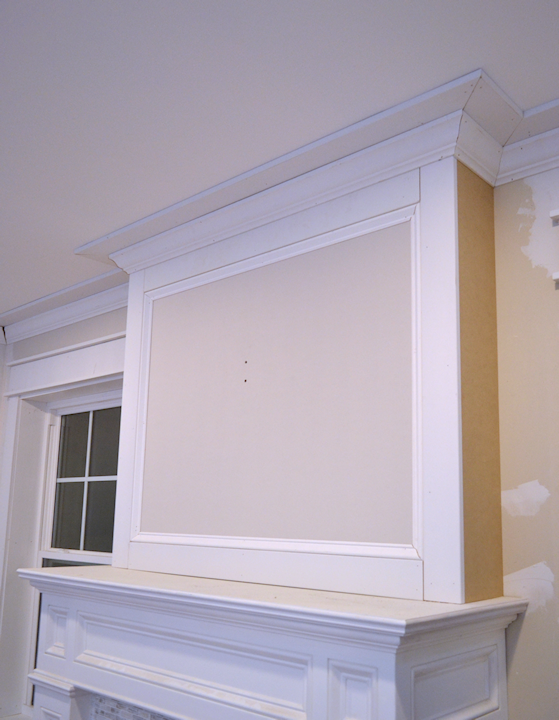 Picture frame moulding looks much better in a room with long, uninterrupted walls. 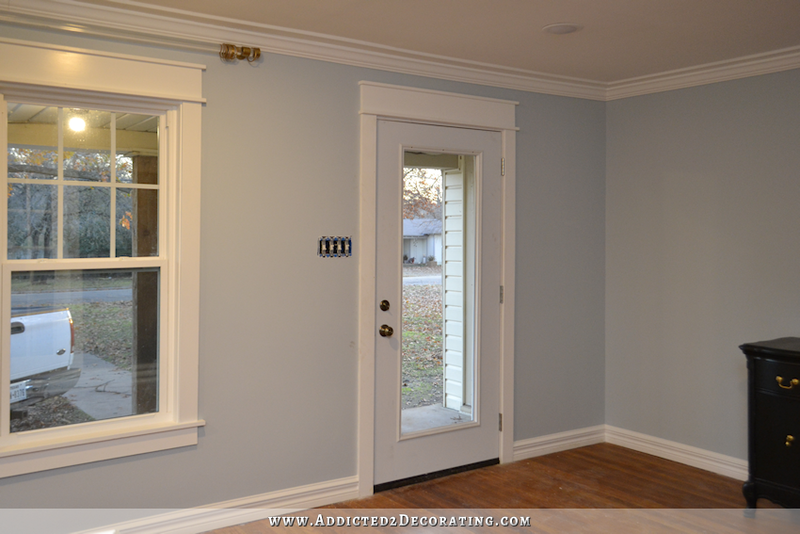 This room has way too many doors and windows to let the picture frame moulding really shine. And then things really got off track for me. Somewhere around the middle of March is where I really lost my way for several months, wandering around aimlessly in the decorating desert with absolutely no idea where I wanted to go or how to get there. And then I proceeded to paint it. Then I painted it again. And again. I just couldn’t get this table to work. I thought it was just a matter of finding the right paint color. It wasn’t. 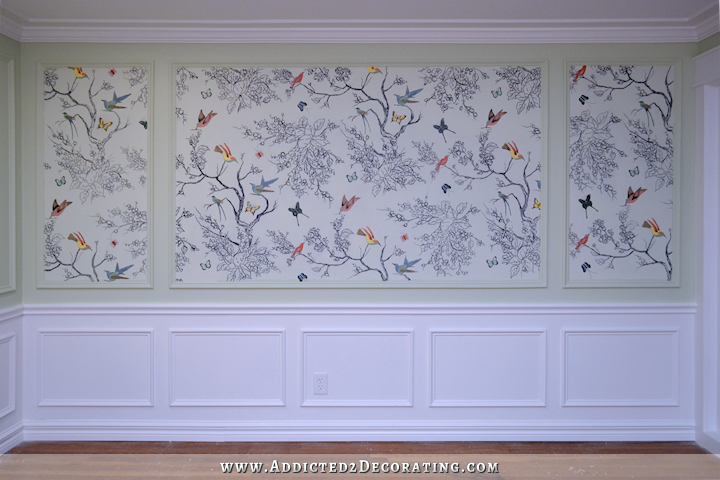 In April, I worked on one of my favorite projects of the year — my hand drawn birds & butterflies “wallpaper,” inspired by Schumacher’s Birds & Butterflies pattern. 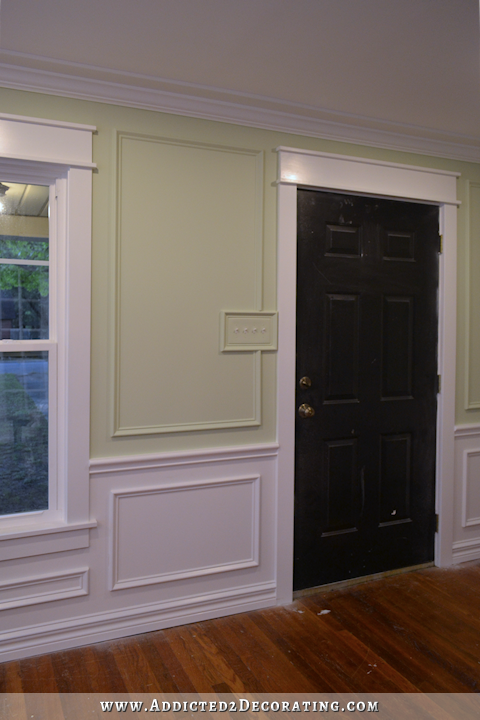 The problem was that that project, even though it was one of my favorites, was layered upon some really bad decorating decisions (i.e., picture frame moulding and wall color). So I was really never completely, 100% happy with how it looked. …which now hangs over my fireplace. You can click here for that DIY tutorial. 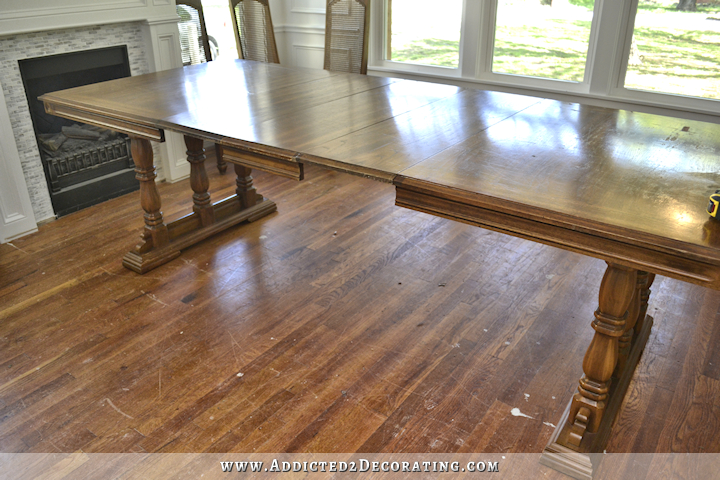 And then I tried to refinish the dining table…AGAIN. I think that was time #5, and it was still a bust. May and June were very difficult months. In addition to my frustration with my house projects not really working out, my family also had to deal with my step-father getting sick, going into the hospital twice, and finally being admitted into Hospice. We said goodbye to him in June. It was heart-wrenching and awful, and really took the wind out of my sails for quite a while. But I continued pressing on with my projects, still wandering around in decorating wilderness, not quite happy with the way anything was coming together (because mostly, it wasn’t coming together), but trying to move forward anyway. I reupholstered two of the dining chairs that I had purchased on Ebay. I was proud of how they turned out, and yet it was a bit unfulfilling. …but it just didn’t feel like “me.” I tried to convince myself that it was TOTALLY ME! But I knew it wasn’t, and no amount of effort to convince myself or tell myself how much I absolutely loved it would work. 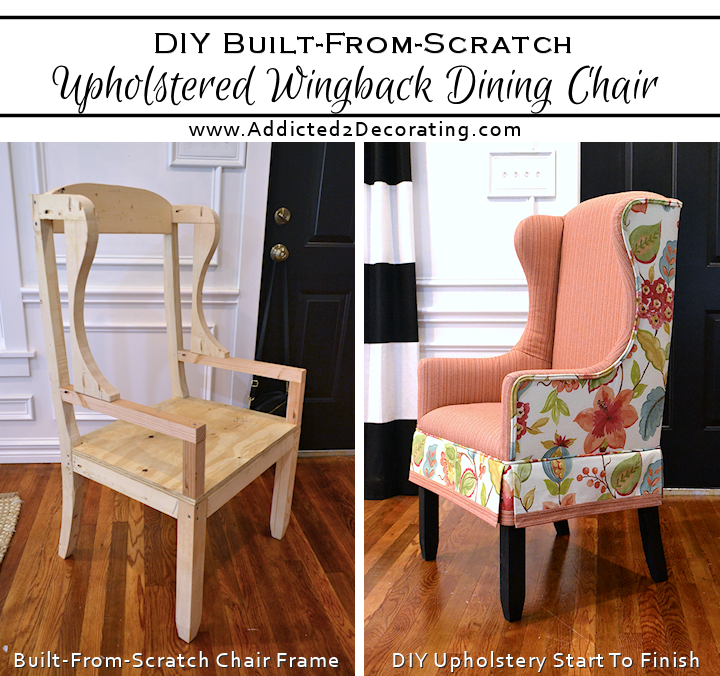 In July, I took on a very satisfying project — building a wingback dining chair from scratch and upholstering it. I was incredibly proud of myself for taking that on, and even prouder about the outcome. But I sure am glad I didn’t spend time making a second one! 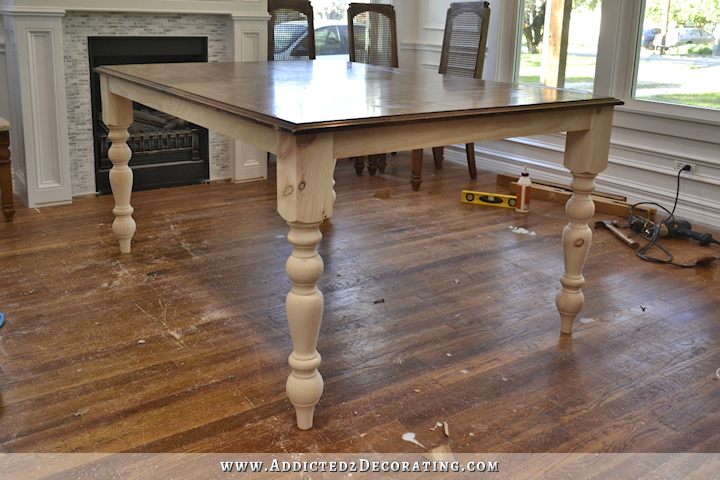 And then I painted my dining table. For the sixth time. UGH!!! August was a good month. Even though I was still lost in the decorating desert, things got done that really needed to get done. 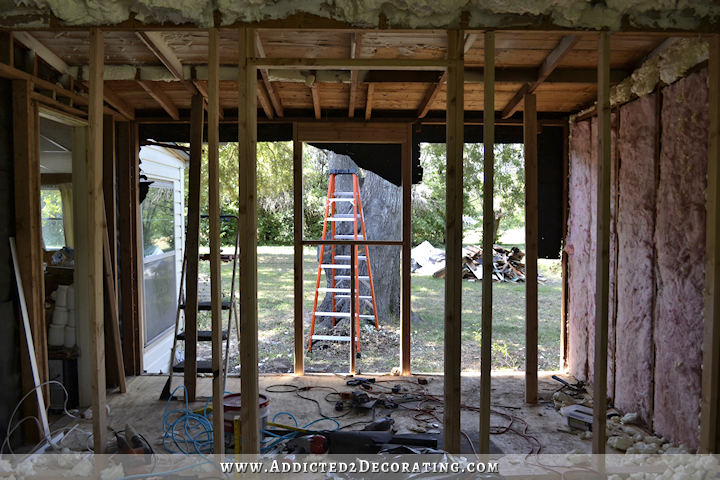 First, we finally got insulation! Yes, we had been living here for almost three years with no insulation in our attic. 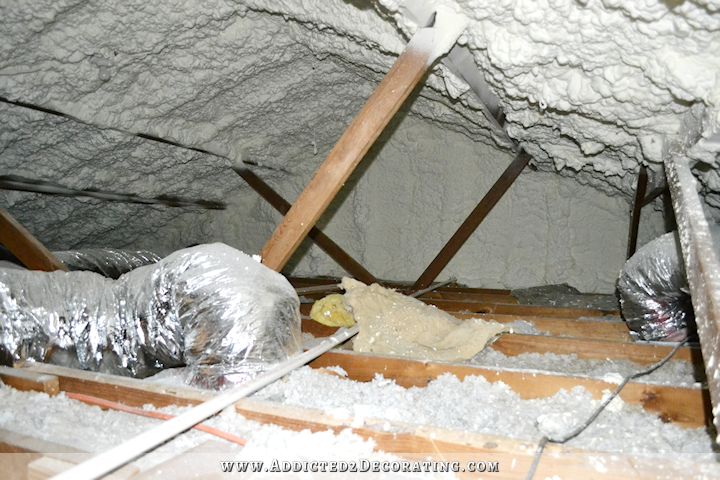 We opted for spray foam insulation. I highly recommend it. It keeps the “floor” of your attic clear so that you can see where you’re walking (if your house is like mine, and you don’t actually have a floor up there). It also keeps the temp in the attic regulated a bit better so that during the summer, it’s not sweltering up there, and it’s actually bearable to be up there. 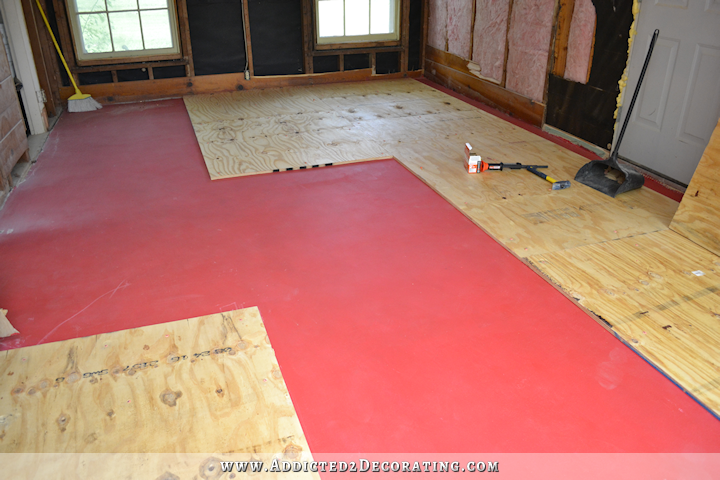 I also had the breakfast room floor leveled, which felt like HUGE progress!! September was also a good month with lots of progress. 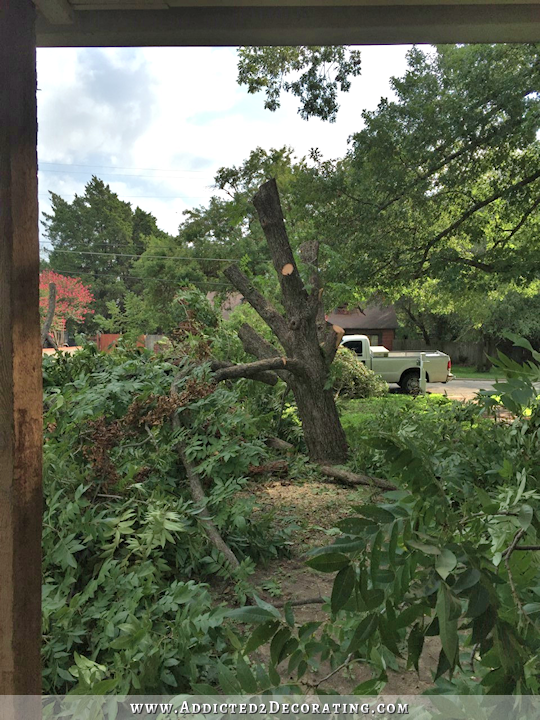 First, we got rid of the ugly leaning pecan tree in the front yard. 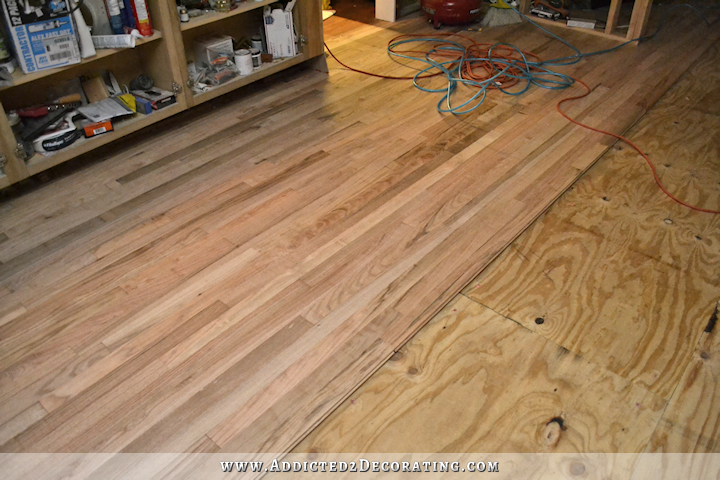 My brother and I installed the plywood subfloor in the breakfast room. It was my first time to use a gun powder-actuated tool, which was scary at first, but fun! …but by the end of the month, I came to my senses and realized that I was truly lost in the wilderness when it came to my attempts at decorating my house this year. And after some soul searching, I finally realized why it had happened. I explained it all in this post. I started strong, got lost in the wilderness for several months, and somehow found my way back to decorating civilization. These last two months have been exactly what I needed. After a very frustrating year of feeling like I was spinning my wheels and getting absolutely no where, I finally feel like I have traction again. I have vision again. I have clarity and a plan. I have excitement and momentum again. Thanks so much for following along on my journey, even as I’ve wandered aimlessly through the wilderness this year. Y’all make this journey so much more fun for me. I wish each of you a wonderful, relaxing, and joyous time with family and friends as you wind down this year and celebrate the holidays. By the way, if I do work on some projects during my break, you can follow me on Instagram to get sneak peeks and behind the scenes looks at my projects. I’ll see y’all right back here next year. I’ll be back on Monday, January 2nd. See ya then! Yes, you wandered but then the lost was found. 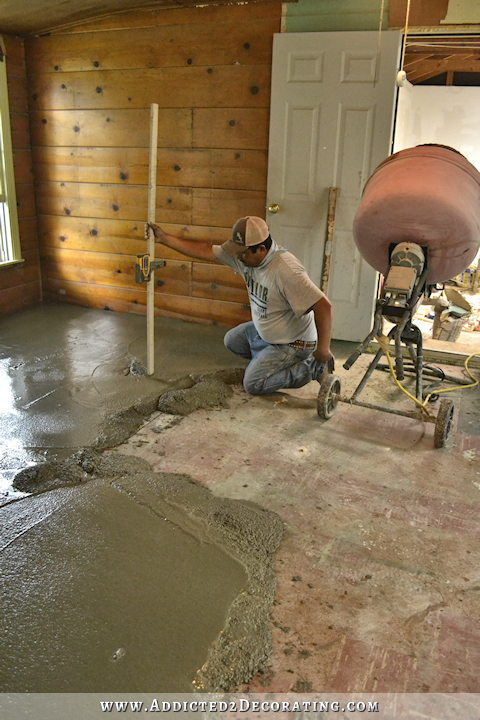 Most importantly so much of the basic house building stuff like insulation, new walls, leveled floor, new floor, etc. got done. Congratulations on surviving one of the tough years we all get to go through now and then. Enjoy your time off! Just curious, but now that you have decided to turn your living back into a living room. 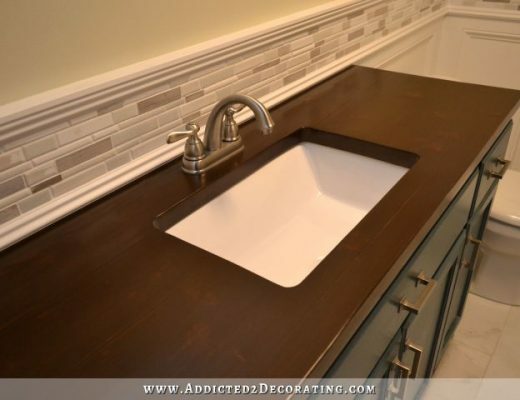 Do you regret at all having cut an opening into your kitchen or do like have more openness into your kitchen? I would like it too because it seems to change the flow of your house a bit too, which I think I would love! It seems like that opening should have always been there! Still alot of progress! Merry Christmas to you and Matt! I look forward to reading about your progress in the New YEAR! Merry Christmas Kristi and Matt !!! Glad that you have found your way! Merry Christmas to you & Matt! I just want to thank you for writing your blog. I can’t tell you how much I enjoy reading it and look forward to each one! Hope you can take a break, just not too long! I totally agree! I always look forward to reading what you are up to! Always very enjoyable! Merry Christmas and Happy New Year! Thank you for a great year of inspiration and sharing your life with us! Wishing you a wonderful break, enjoy! You can be glad to weren’t wandering around the desert for forty years! I so enjoy your journey and you do inspire us to keep going and keeping it real. I love your choices, good or bad, fearless in your attempts and am looking forward to 2017. God bless and keep you and Matt in the coming year. Yes, you had a confusing, frustrating, sad and challenging year. But you can count your blessings that you DO have, and move forward with your new goals. I wish for you and Matt the best of the season, a bit of relaxing and connecting, and a hope for a good year ahead. Merry Christmas, Happy New Year, and thanks for sharing with us all! Wishing you and Matt happiness, clarity, and especially good health in 2017! Thank you so much for this blog. It gives me a endless amounts of enjoyment and inspiration. Enjoy your “time off”. I love your blog! It keeps me going. 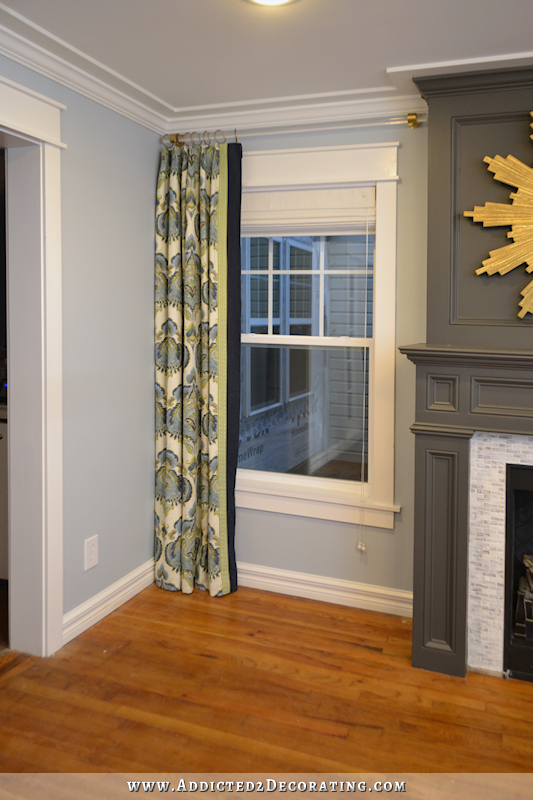 I love that your found yourself with your new curtains in the living room of your house……Mark Hampton once said, Be true to the colors your client loves; they never waver.” Or words to that effect. haha As I look at the new curtains they remind me of all the colors you used in your beautiful Condo! Yor are being true to your colors and to yourself, but sometimes you have to make a few detours just to make sure! Happy New Year, Kristi and you the new adventures of your blog. I am so looing forward to your new ventures and jousrneys.!!!! 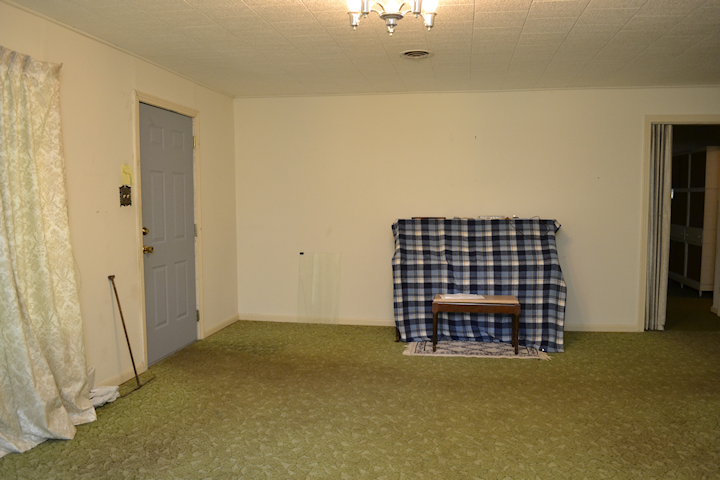 Kristi, I must have missed the blog post where you said the ‘dining room’ was going back to being the living room? Can you give us a link to that post? And I wish you and Matt a very beautiful, blessed Christmas and God’s many blessings in the coming year. 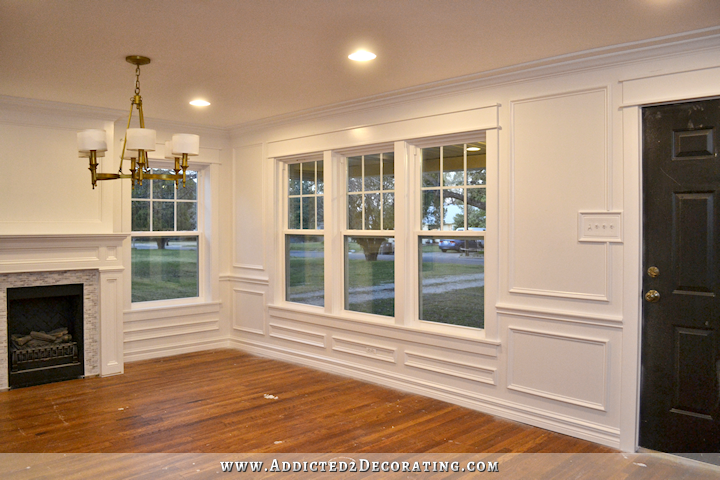 Not Kristi, but I think this may be what you are looking for: https://www.addicted2decorating.com/from-dining-room-to-living-room-again.html. Cheers! Merry Christmas to you and Matt as well. I hope you enjoy your much needed holiday break. You did so much! Thanks for letting us come along and watch the journey. Hope you and Matt have a wonderful and blessed Christmas! Merry Christmas to you and Matt! I love the new direction you are taking. 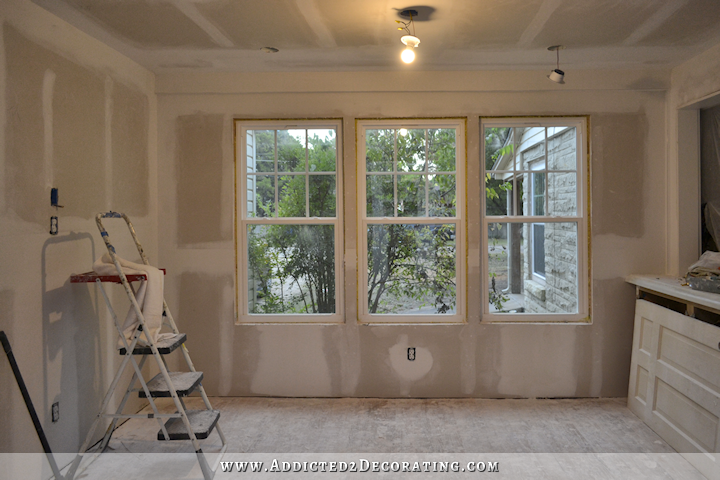 Thank you for sharing your decorating/renovating adventures with us. I am scared to do a recap of my year, because only one project got completed that I started in the previous year! One day I will have a whole house! Bless you and Matt in the New Year! Thank you for sharing your decorating struggle, it has clarified my own path for 2017. While this year has consisted of (mainly) structural changes in my home, I have been contemplating furniture selection etc. YOU have made me realize that I “like what I like” and trying to change will end badly. While I have no problem assisting others whose tastes are wildly different from my own, I can’t seem to envision something for myself if I stray from my own palette. YOU made me accept that this home will be (color wise) much the same as my old ones…and THAT is just fine. I wish all good things for you and Matt in the new year and look forward to seeing your future projects. Kristie, you are such an inspiration to me I enjoy your posts and I have built bookcases with the fireplace in my living room lined drapes for the window and I want to try make the wingback chair but I wondered if I could make it into a settee for two. Would I need extra supports ie a third like at the back? Gracious, you had a busy year! 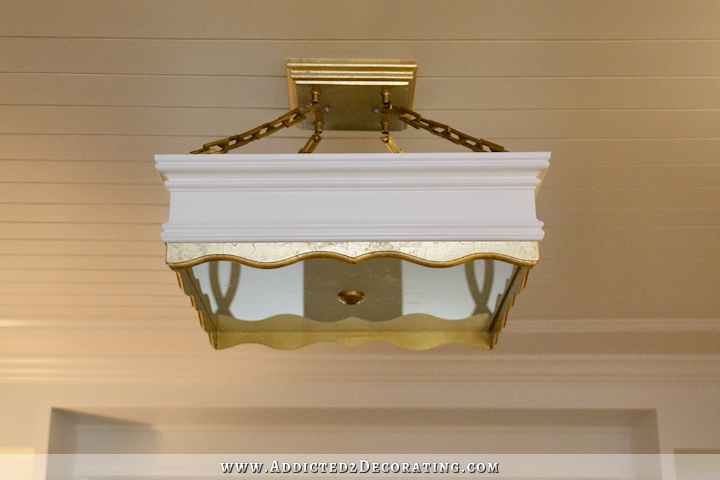 I just found your blog and am totally blown away by you DIY projects. 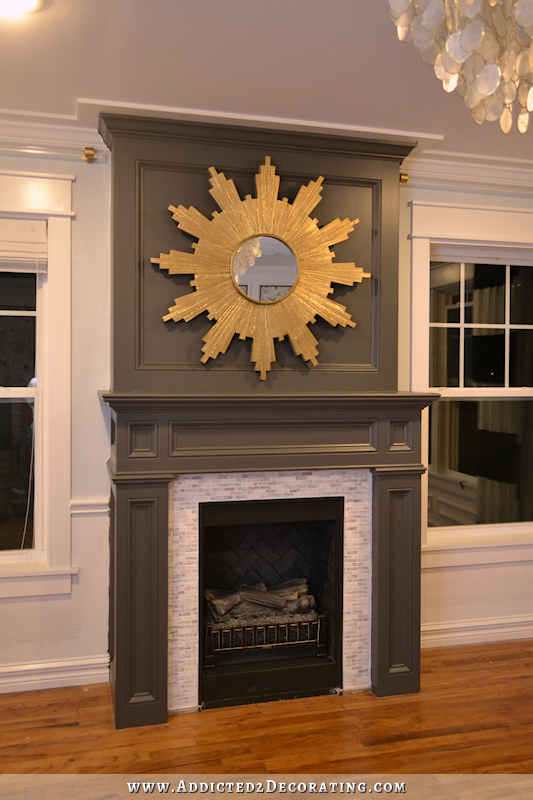 It is hard to find professionals that make millwork look as stunning and crisp as you do! Looking forward to seeing what you come up with for 2017! Thank you Kristi for keeping it real. I love the inspiration I get from Instagram and Pinterest, but I must say that I love your blog most of all. You provide a happy distraction from life’s troubles when I need one, you inspire me with your enthusiasm and I really appreciate your honesty about your misses as well as your hits. I enjoy following you on your journey. Merry Christmas to you and Matt! I am looking forward to your projects next year! Even with everything, you still have gotten sooo much accomplished. Merry Christmas to you and Matt and a Happy New Year! The project I am most bummed about is the loss of your mural. I know you are planning to do another one in your breakfast room. 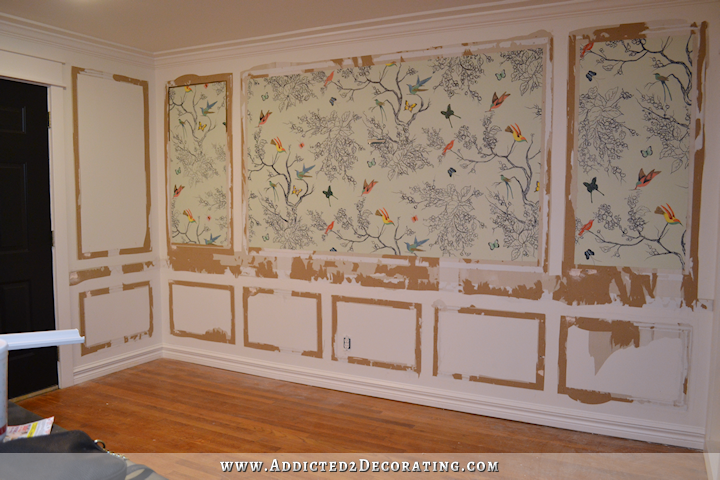 Have you thought of pasting canvas (drop cloth maybe?) on the wall before making the new one? Then it could be saved for posterity or reused if you decide to make changes later. Merry Christmas. I’ve so enjoyed reading about your journey! Happy Christmas to you and Matt and may God overwhelm you with his love and grace and blessing in the New Year! Must confess, I almost had a heart attack when you painted over the birds. 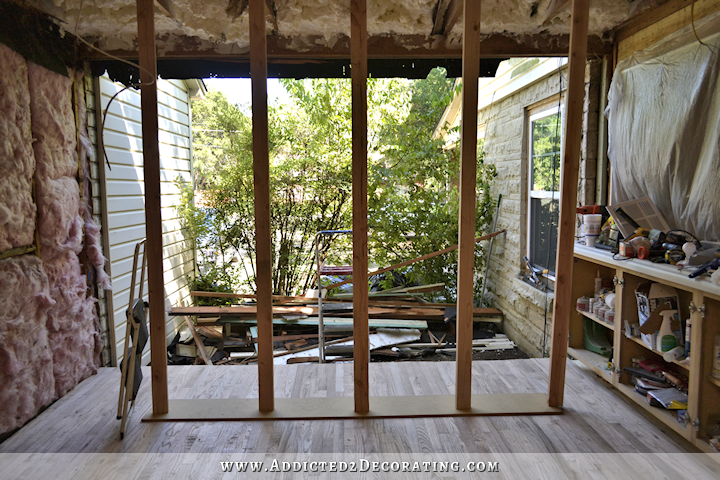 I suffered through all the dining table stripping and painting. 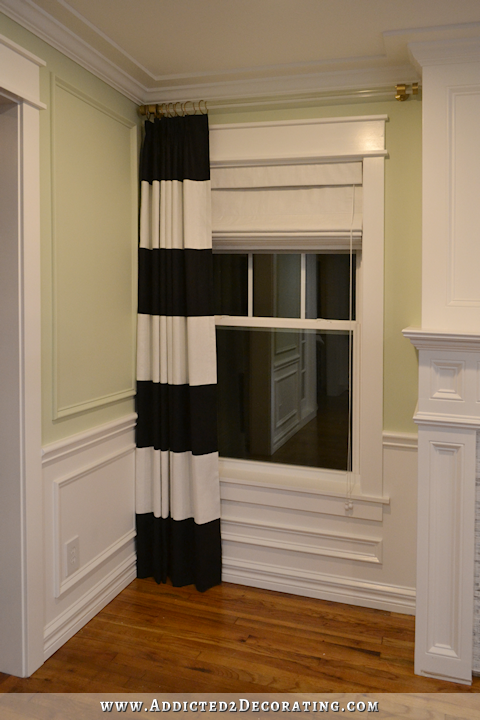 Loved the white and black walls and black and white draped, so much work. 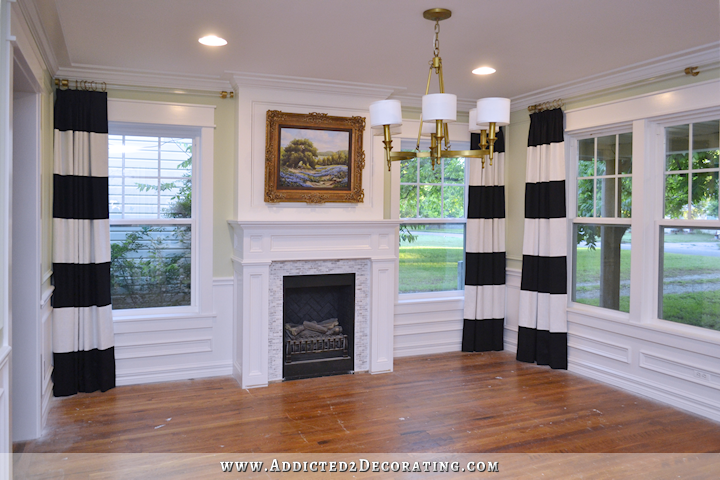 My favorite post and the one I plan to copy is the clear curtain rods, love, love them. Best wishes for a Merry Christmas and a Happy New Year. See you January 2nd. First, I am glad the living room is a living room again. I love the music room. Kudos. 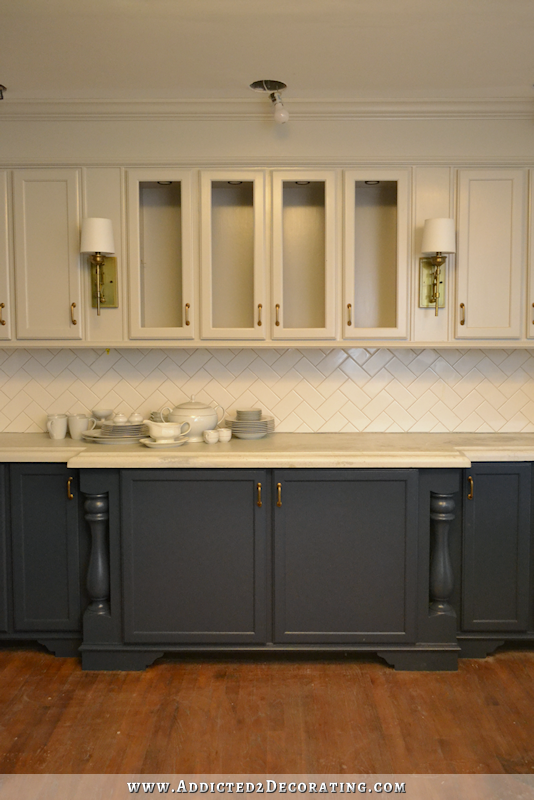 But you souks have left that gorgeous color on the kitchen cabinets!! Now they don’t stand out as well. And I’m afraid you are band-aiding that new front door. Now you want to cover it up some how at night. That’s going to get old every night. 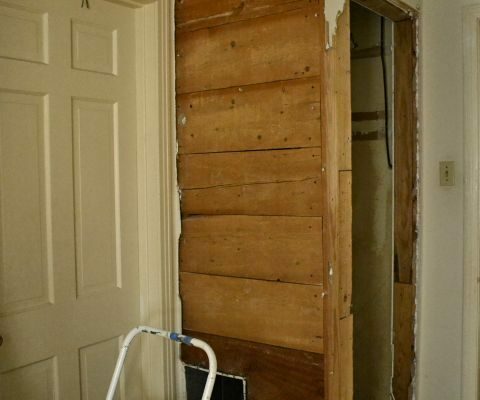 I’d say go simple and put a rod at the top and a rod at the bottom and a couple of sheers on the door that you can cinch together in the middle, for daytime and uncinch at night. Thanks for the entertainment and happy holidays. That was fun! Thanks for a great summarizing post. You’ve done a whole lot this year. Ups and downs, most definitely. Thanks for the walk down memory lane- and you’re right that there’s been a lot of changes! 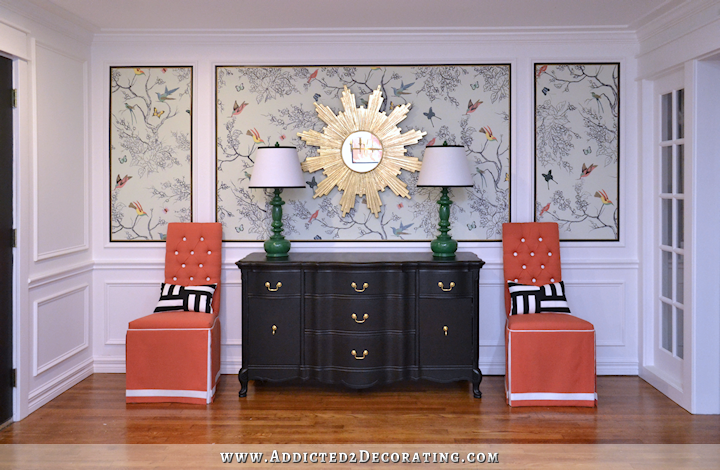 I love the fearlessness and as I’ve said before, you allow me to give myself grace when I make decorating re- decisions! Enjoy your end of year season and see you in 2017! Merry Christmas! I am happy you found your way. 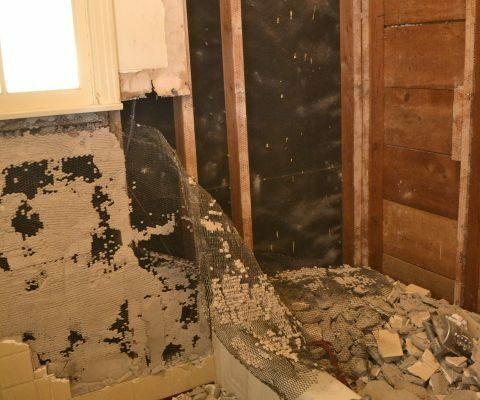 You still had unbelievable progress in your home despite the setbacks. Thanks for the time you devote to the blog. I read each and every post. 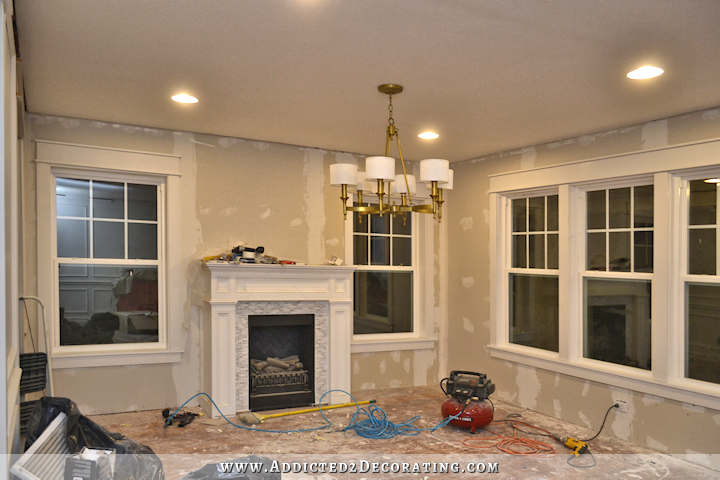 Thank you for another exciting year with your decorating adventures on your blog! I am a huge fan. 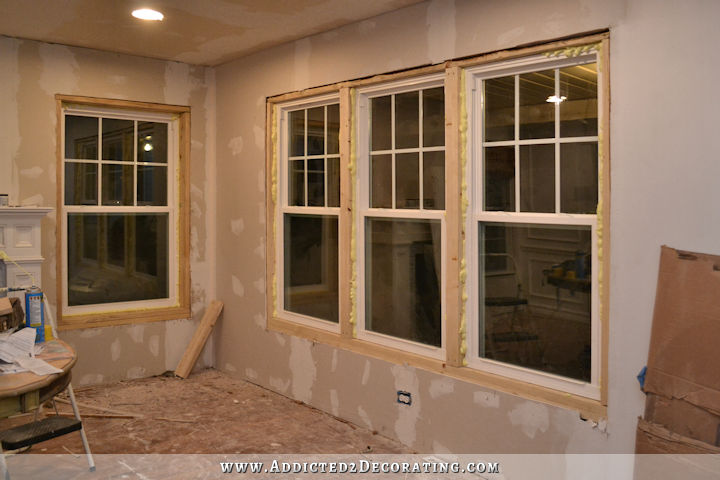 You may have wandered int he wilderness of home improvement for a while but you made some wonderful progress with the projects like your new windows in the breakfast room, the repainting of the cupboards, the fireplace and your pantry. I cannot wait to see all of that finished and am hoping that you and Matt will have many wonderful mornings at the table in your breakfast room. 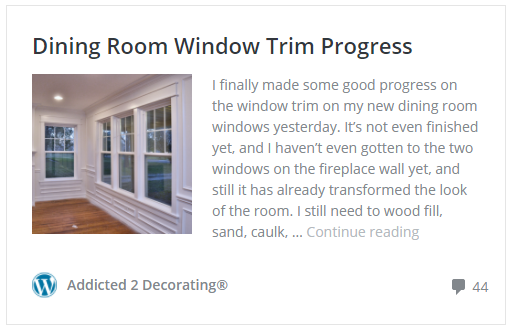 I’m looking forward to following your blog in 2017 and watching you finish some rooms and beginning others. Happy, Restful Holidays to you and yours and a Happy, Healthy, INSPIRED 2017! Rest and enjoy the holidays! 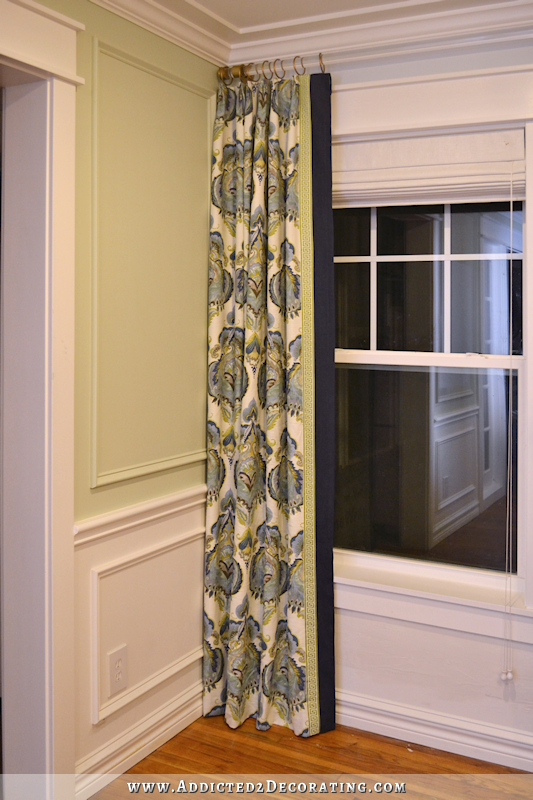 Then perhaps adapt the roman shade for the door? Thank you for the recap of your 2016 projects. You really have accomplished so much, even with the setbacks and challenges you have faced this year, so kudos to you Kristi. 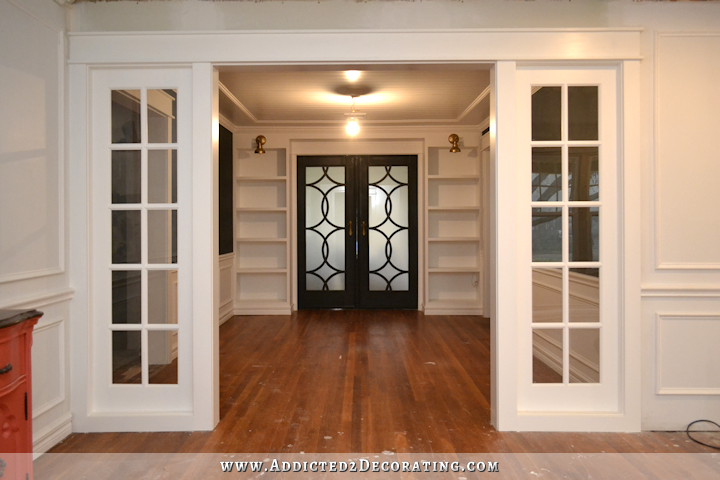 I’m pleased the year is ending on a high for you with your new decorating plan coming together and I think 2017 is going to be an absolutely incredible year with major projects and decorating projects being completed, now that so much ground work has been done. I absolutely love the real-ness of your blog and look forward to following you through 2017. Happy Holidays and a well deserved break to you and Matt. I want to say thanks so much for your blog! 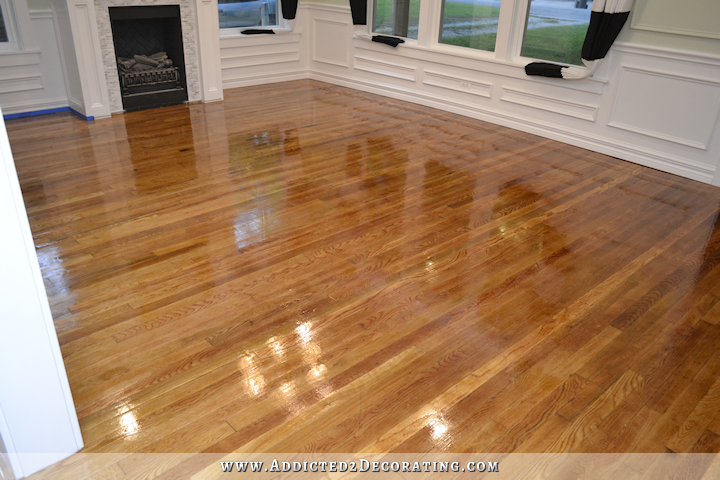 I’m a woman who does the same kind of fun as you- trim, hardwood floors, etc. 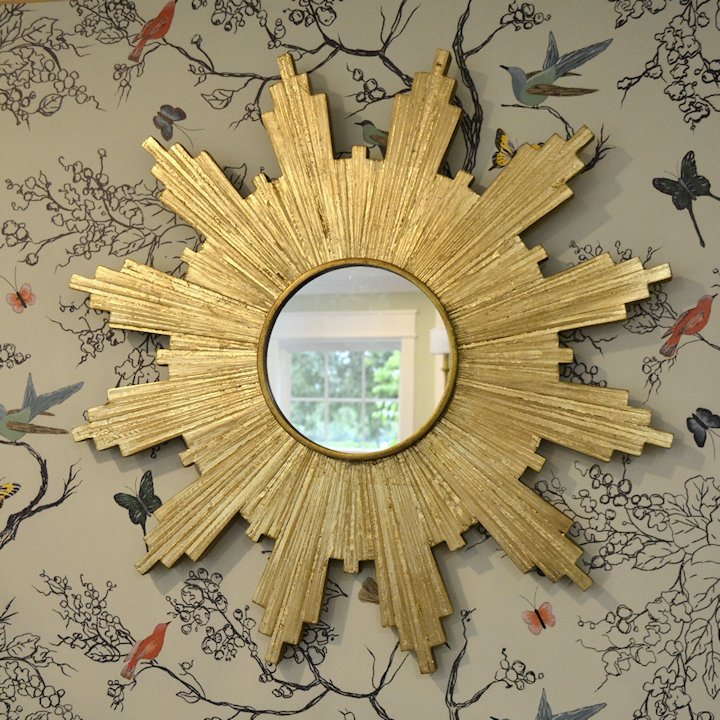 (although not handpainted wallpaper-like wall- that was amazing!). I’m currently copying your pony wall because it has such nice lines and would really fit in my home. Love your stuff, thank you! Excited to see what the new year brings. It seems that your tastes are maturing. I’ve noticed with myself that when I was younger, I liked bright colors and fun and trendy decorations. 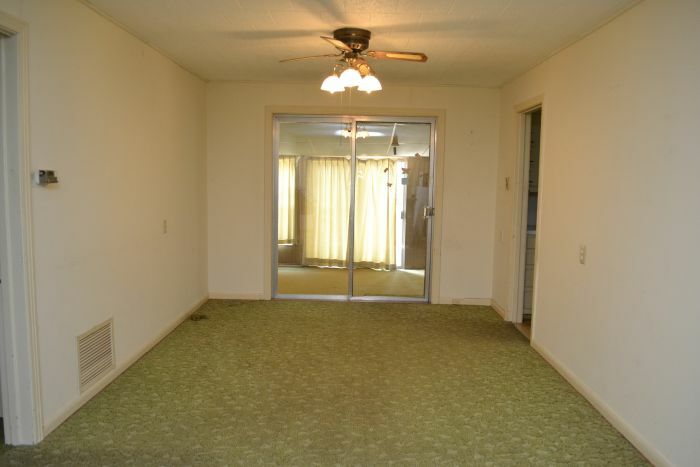 Now I prefer a muted, relaxing decor. When I sit in my house, I don’t want to be stimulated by the designs. I just want to unwind. 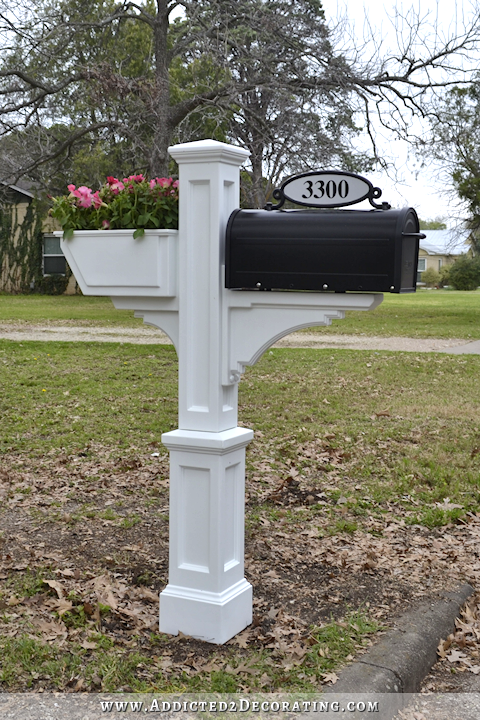 I love seeing your projects and will be applying them to my house when I move in.